Recently as I answered questions after a session, someone told me about a RPG he'd designed and tested, that all the testers said was too complex. "How do I simplify it?" he said. An assumption here is that the testers, by and large, aren't able to say exactly what must be simplified, they just know that currently there's too much. There are different ways to characterize the essence of a game, sometimes structurally, sometimes according to what the player does, sometimes in another way or a combination. Example (Britannia): "On an anvil of blood and terror they forged the destiny of an island!" In this epic wargame four players each control several nations playing at different times with different objectives throughout the Dark Ages history of Great Britain. Romans, Britons and Gaels, Anglo-Saxons, Vikings, Normans --they all play a part in the history of Britain. Combat is resolved with dice. This is a strategic game of achieving objectives, not of conquest, though many invaders conquer much of Britain at different times. 4 to 5 hours for experienced players. "Invade Britain. Rewrite history. Rule." After you have (in your mind, at this point) removed or simplified what you confidently can, give the list of the (now remaining) features to your playtesters and ask them to decide which could be removed entirely, and which should be simplified. (This may not help much if testers disagree about whether the game is too complex.) Don't ask people to rank each feature in comparison to the others, as that can be quite hard. It's much easier for people to divide a group into four parts, in this case from most important to the game down to least important. You might even want to write the features on separate 3 by 5 index cards to make it easy for the playtester to sort them. As we all know, dividing groups of people into two more or less opposites can be illuminating, certainly in the context of games. It can also be divisive of course, but I hope that will not prove to be the case here. Video gamers have made me realize that there are different ways to approach game playing as a part of your life. "Escapist Magazine" likes to talk about "the gamer lifestyle". I've played games for more than 50 years but I have not seen it is a lifestyle, rather as a part of life. Perhaps because video games have been subject to so much criticism in the past, some videogame players think of the gamer lifestyle as a unique (and in some way superior) approach to the world and to life. I'm not going to try to explicate that whole business, but I have seen that video gamers often approach game playing quite differently than I have. Simply put, they are Gamers while I am a Game Player, and I'll explain what I mean by those terms. Gamers prefer game playing to almost any other activity. When they have "time to kill", they'll play games. On the other hand, Game Players treat game playing as one enjoyable activity amongst many. (And they may not think of games as "killing time" at all.) The Gamer frequently asks of a game, though often subconsciously, "is this a good way to kill time". The Game Player approaches a game with the question "is this a good way to spend my (valuable) time". These are generalizations of course, and there are going to be lots of people in the middle as there usually is with any division of the group into two parts. A Gamer will play virtually any game within broad categories, and could be said to have very wide-ranging tastes. For example, I've known Gamers who were willing to try almost any game "as long as it doesn't take more than an hour". Another example would be a person who will play almost any action videogame, or almost any role-playing game. Game Players like to play games, but not just any game or not even "anything of a particular genre". They like specific games, or occasionally groups of games. A Game Player may just play one game or a specific category or specific favorite games. If you ask a Gamer what his favorite game is, he will often be unable to say, or it will be the game he is currently playing. If you ask a Game Player what his favorite game is, he can probably say, and can probably tell you what all of his favorite games have been back to when he was very young, and this number may not have reached double figures even for someone who is a "senior citizen". Tabletop Gamers are happy to participate in a group where people in turn choose which game to play and they all play it. Game Players rarely do that, unless they're with a group of similar-minded people with definite limits on the kinds of games they'll choose. Gamers derive self-worth from being good at playing (video) games in general. If Game Players do, it's because they are extremely good at one game, or a few. Gamers tend to treat games as a lifestyle or a job (think of all the people who talk about how much work it is to play MMOs). Game Players tend to treat games as a hobby. So casual game players are much more likely to be Game Players than Gamers. And hard-core game players are much more likely to be Gamers than Game Players. Yet I do not equate hard-core with Gamers, or casual with Game Players. Someone who plays Magic: the Gathering incessantly, plays the game and tournaments, spends a a lot of money on cards, is a hard-core player but he's as likely to be a Game Player as a Gamer. Are Gamers more passive in preferences and Game Players more active? I can make an argument either way. Game Players have favorite games. Game Players know what they want. Game Players are not just killing time, Gamers often are. Yet Gamers often have very strong opinions about games, and often are willing to have interminable discussions about the qualities of games, which traits are less common amongst Game Players. Game Players focus their time, hence play certain games only (some play only one game, chess, D&D, Magic, Farmville, match-3 games, e.g.). Gamers tend to be less focused. Gamers tend to dive into a game immediately. If it's a tabletop game, they may try to learn to play it while they're playing it, and many sets of contemporary tabletop game rules are written in "sequence of play" to make this more practical. Video games, of course, are ideal for diving in immediately. Tabletop Game Players like to study a game, like to read and even study the rules before playing. Many game designers are primarily interested in making games for Gamers. This tends to mean that the designer need not be concerned about long-term replayability, because the Gamer is likely to soon go on to another game in any case. Those designing for Game Players may have a harder task, because game players tend to play their favorite games over and over again. A lot of published games don't hold up under the pressure of that criterion. I was exposed to Game of Thrones: the Boardgame before I read the Song of Fire and Ice books. Game of Thrones the boardgame is instructive now that I'm reading the books: as a simulation or even representation of the books, it's a failure. As a representation of the situation throughout the region where most of the books' action takes place, it does no better than the game Diplomacy does as a representation of World War I. The boardgame Game of Thrones treats each of the "kingdoms" as a separate monolithic entity with no chance of internal betrayal. The situation described in the books calls for random events and Event Cards, not for something as straightforward as Diplomacy-style. So it could reflect the books much better, but it then would become a game for improvisors (who like chaos) rather than planners (who like order). The situation just doesn't seem like one that ought to appeal to planners. As I said, chaos is a central theme of the books. As a Diplomacy-style game the game appears to have a big geographical problem. Peninsulas do not make good settings for that kind of game, as someone ends up "in the middle". This is not to assert that GoT:tBG isn't a good game. It IS to say it doesn't have much to do with the books, and may have problems as a boardgame. The other game, a semi-abstract perfect information space racing game, had been played 28 times, and is very stable. We played the three player version (in other words, I didn’t play). It is much more strategic than the card game, sometimes being compared to Chinese Checkers, sometimes to Chess. One of the older folks struggled mightily with the rules and strategies of the pirates game. She picked up the space race game much more quickly. Why, I wondered, because she is a person who likes to play standard card games, and this game is almost entirely cards. But the cards don’t have suits or numbers, and there’s a profusion of them (maybe 40 different ones, though many are of similar type). On the other hand the space race game is very “clean” and simple, with eight pieces per player, and only two kinds of pieces. Since then we’ve played both games with relatives our age (Sue’s brother and wife, also not regular game players). They picked up the card game fairly quickly, but the boardgame even faster despite starting at a late hour. I can speculate that fewer kinds of pieces, and fewer pieces, both help make it easier to understand a game. Hardly an earth-shaking conclusion. But if you want atmosphere and color then a game using cards, and more different possibilities, may be more effective. I’ve been told by publishers that, unfortunately, purely abstract games are hard to market because there’s no story (atmosphere or theme) to them. Think about it, when people pick up a Euro game in a shop and look at the back, what do they see? They’re told about the atmosphere, not about how the game plays. Frequently there’s absolutely nothing to tell you what the gameplay is like, or there will be a rating of strategy and luck to go along with a listing of number of players and age level. Aside: an atmosphere for a game is something it is supposed to represent, something your’re supposed to feel about it, but which has nothing to do with how it’s actually played. 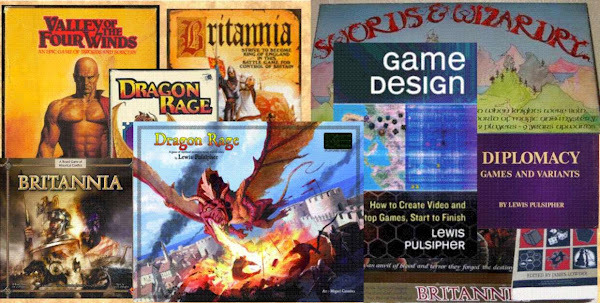 A theme is similar except that it helps determine how the game is designed to be played, that is, moves you can make in the game often reflect what you can do in reality, as in many historical wargames. Knowing something about the nature of the thematic topic might help you play the game better, though often not; knowing the nature of the atmosphere topic makes no difference at all in your play.